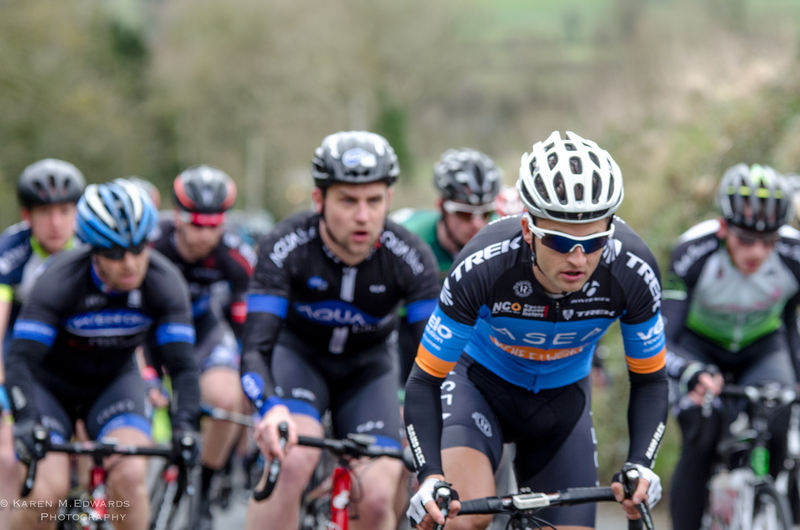 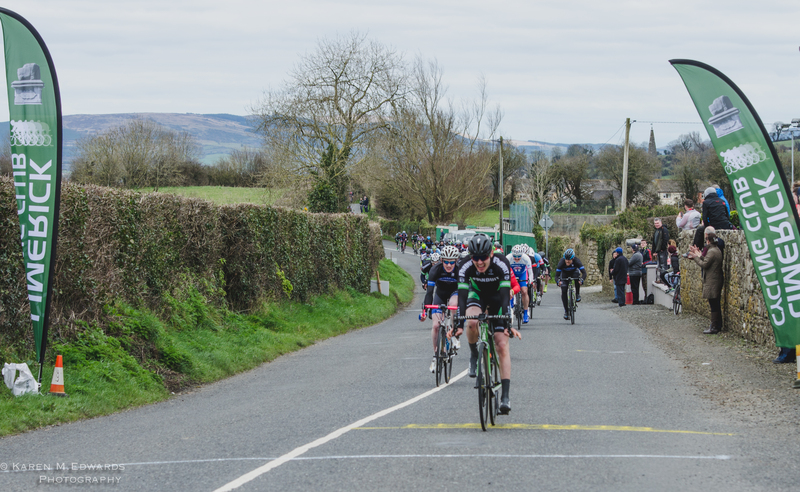 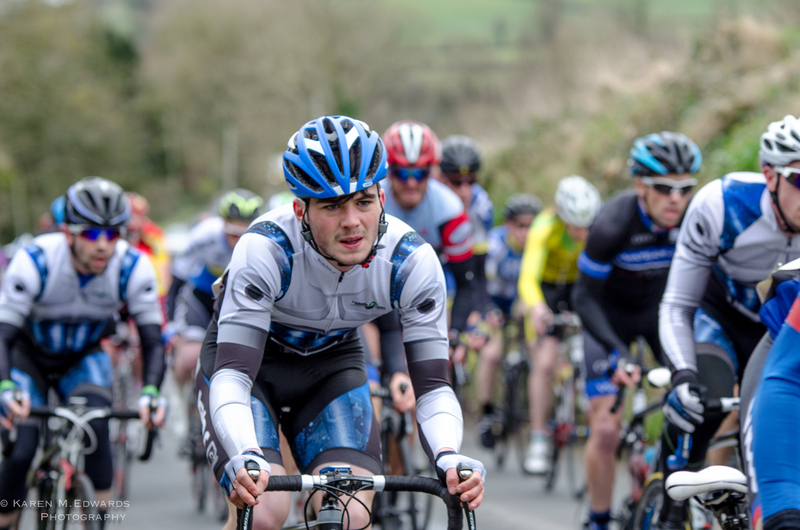 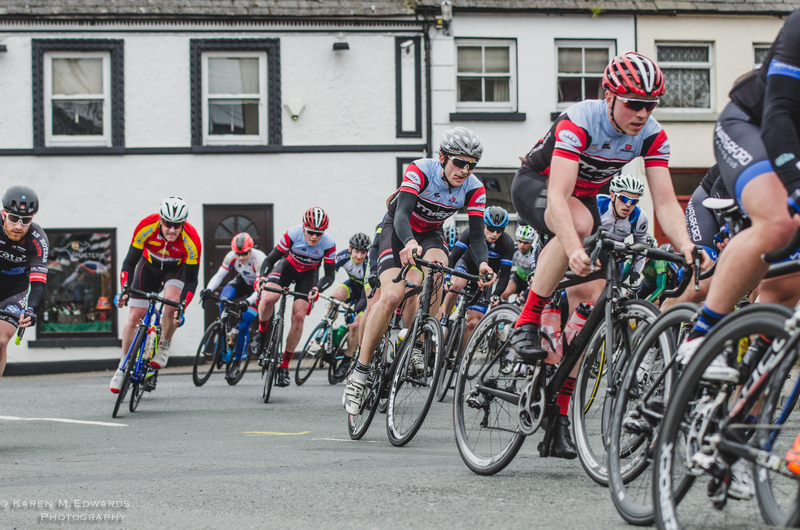 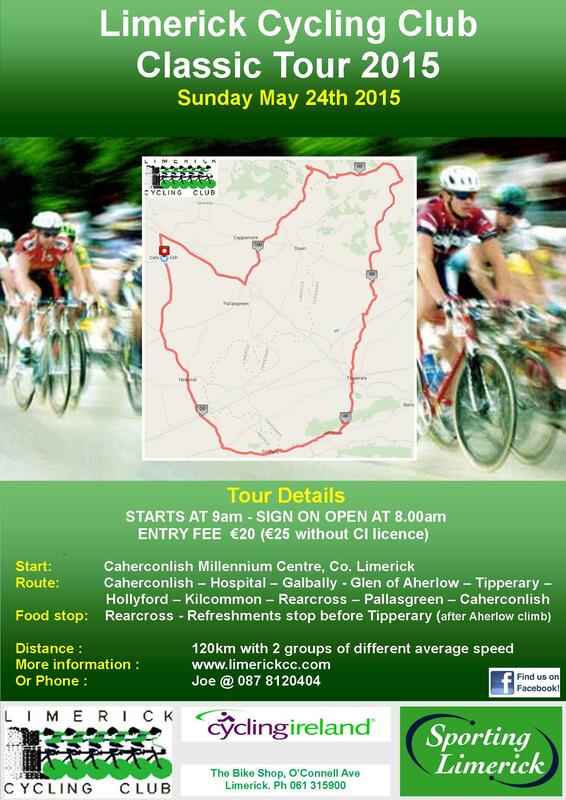 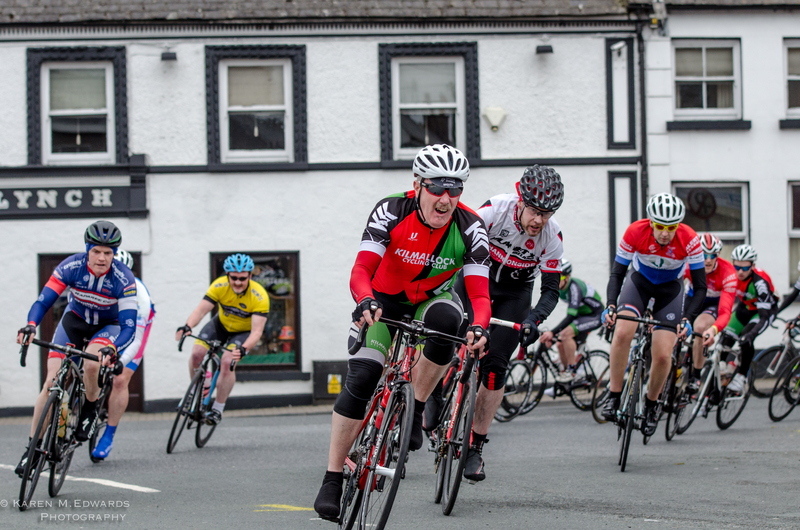 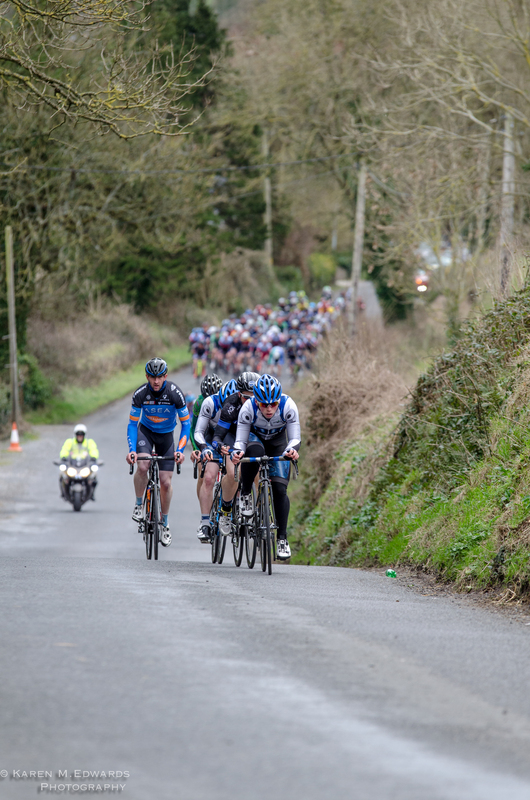 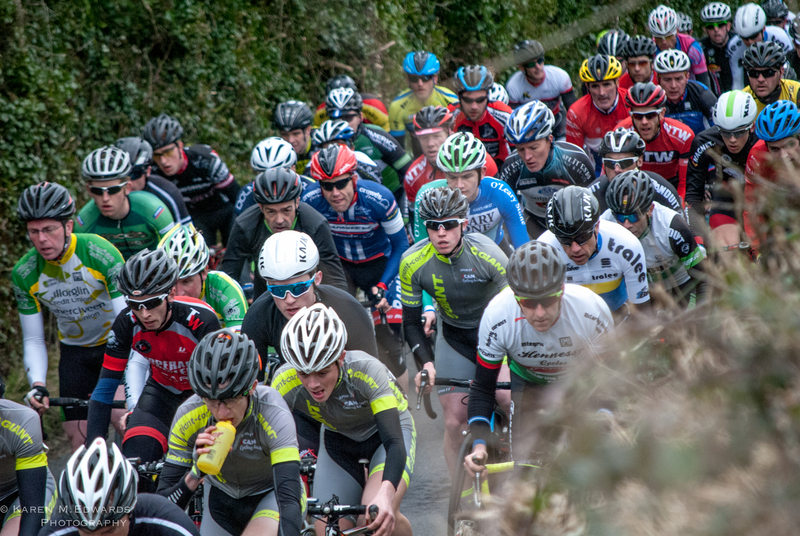 Looking forward to seeing a great number turn out for our annual sportif, The Limerick Challenge Tour. 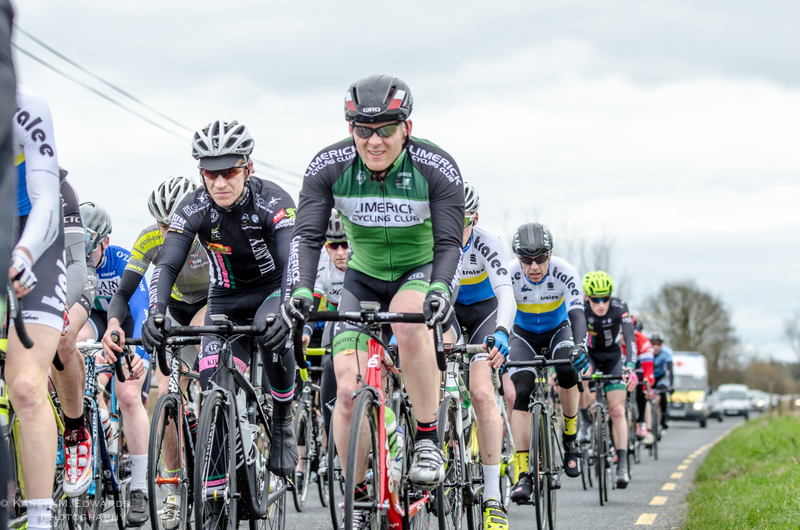 Due to holidays affecting turn out lately, we have decided to cancel tonight’s event. 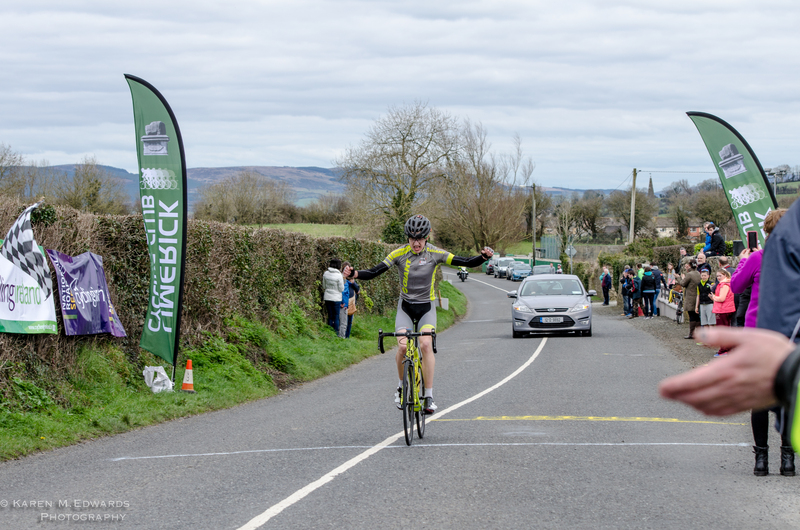 However, we are back Tues 16th for 3 final weeks which we hope will support those racing in the end of season calendar which is quite local in flavour with Shannon, Charleville and Kilmallock all featuring open races. 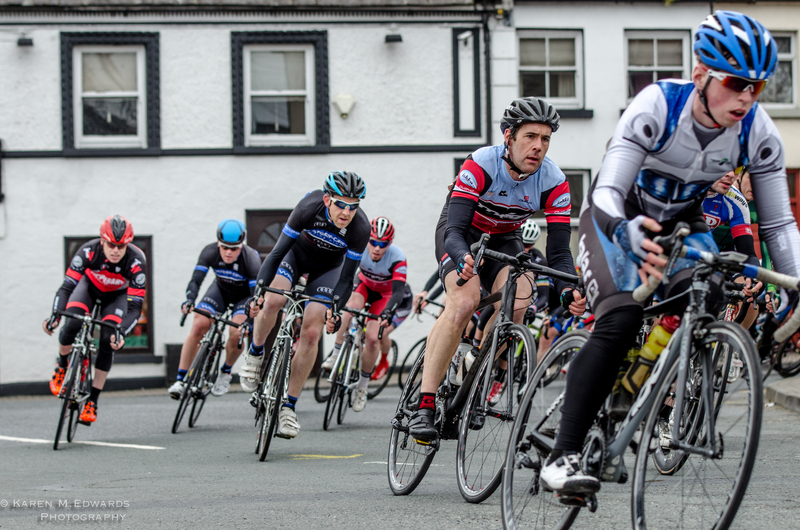 Welcoming all cycling enthusiasts, members and friends to a unique event. 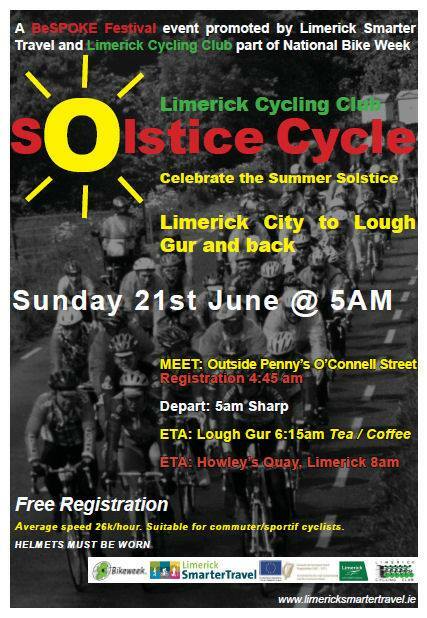 Depart Limerick City Centre at 5am, watch the sun rise during the coffee stop at Lough Gur, back home in time for a second breakfast! 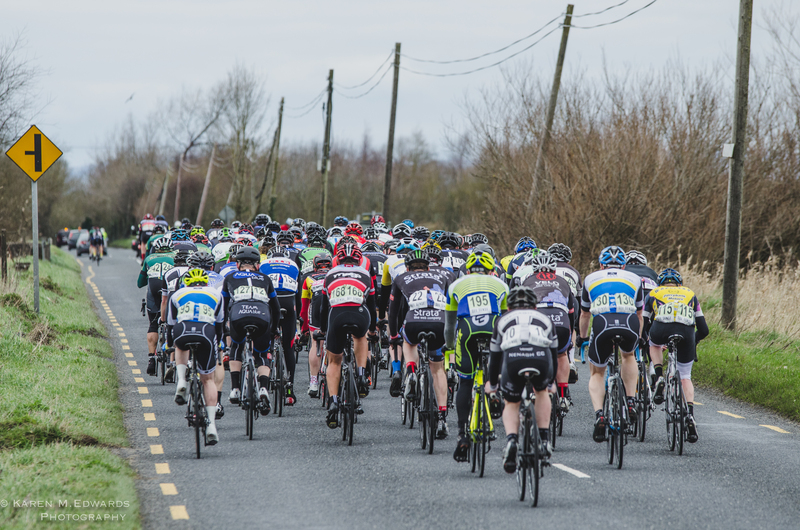 Free to enter, but please bring a Cycling Ireland license (if you have one) in order to reduce insurance costs for the event. 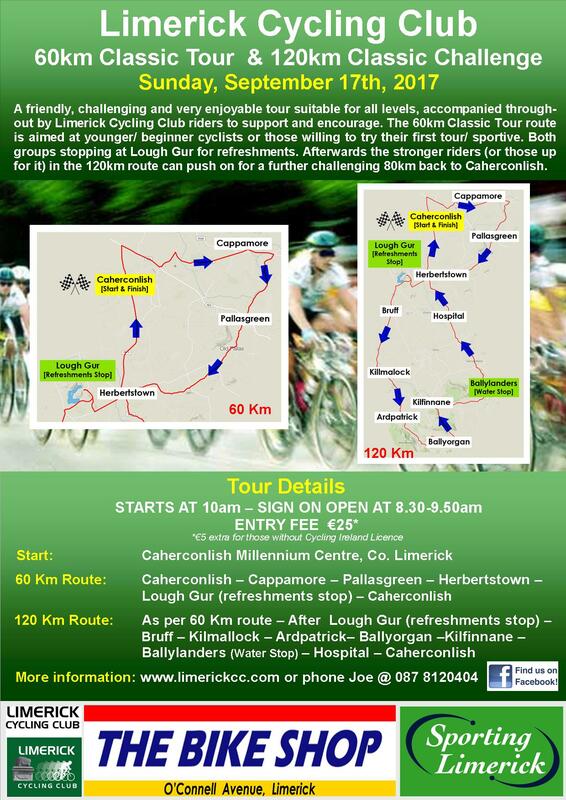 Sign on is from 4.40am to 04.55am outside Penney’s (O’Connell St., Limerick). 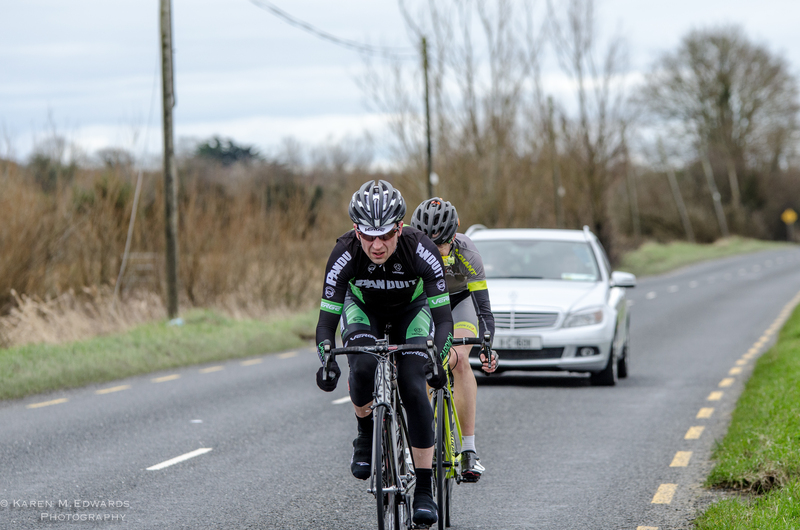 Helmets compulsory. 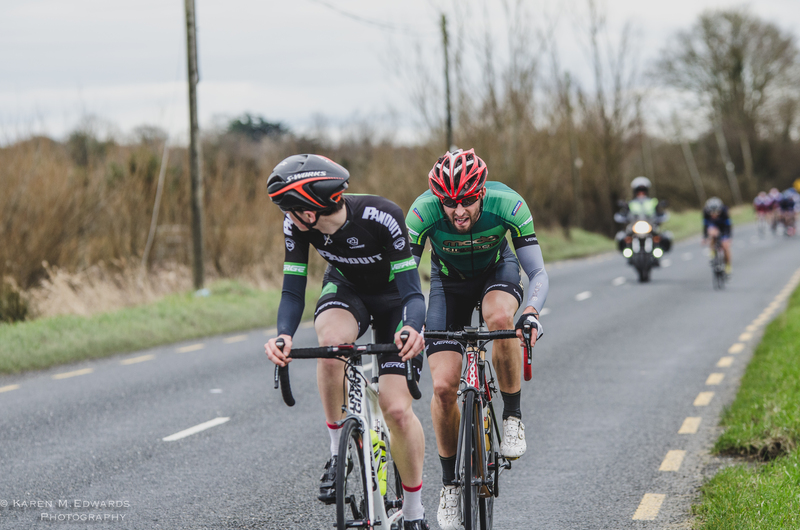 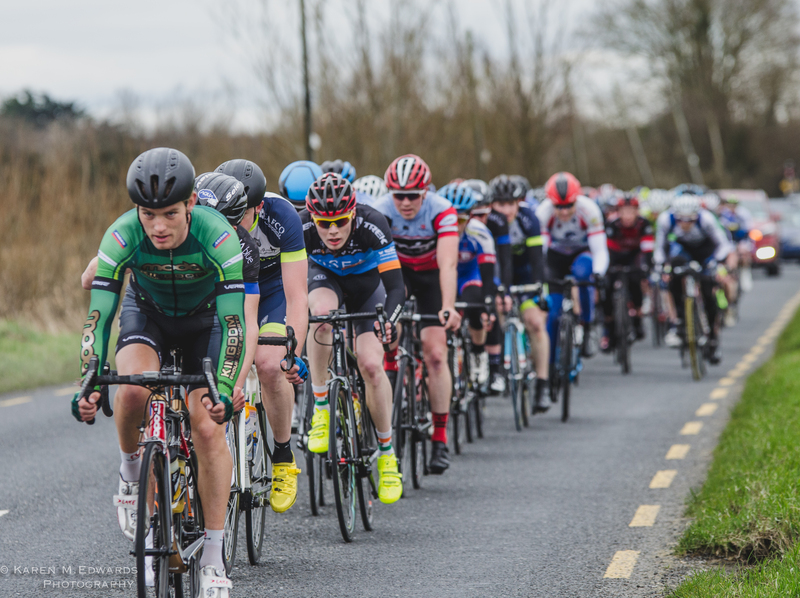 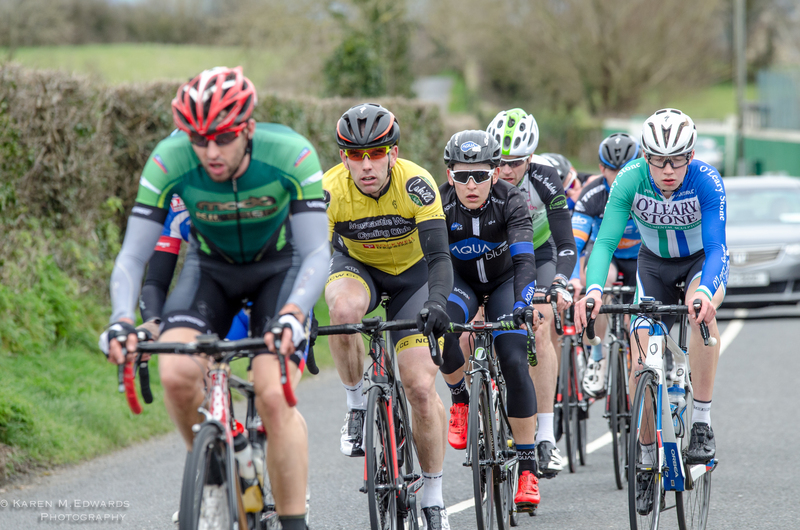 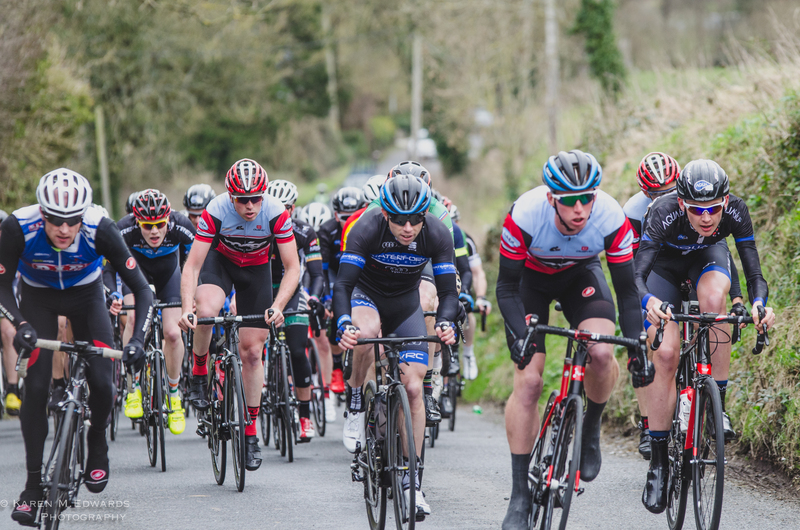 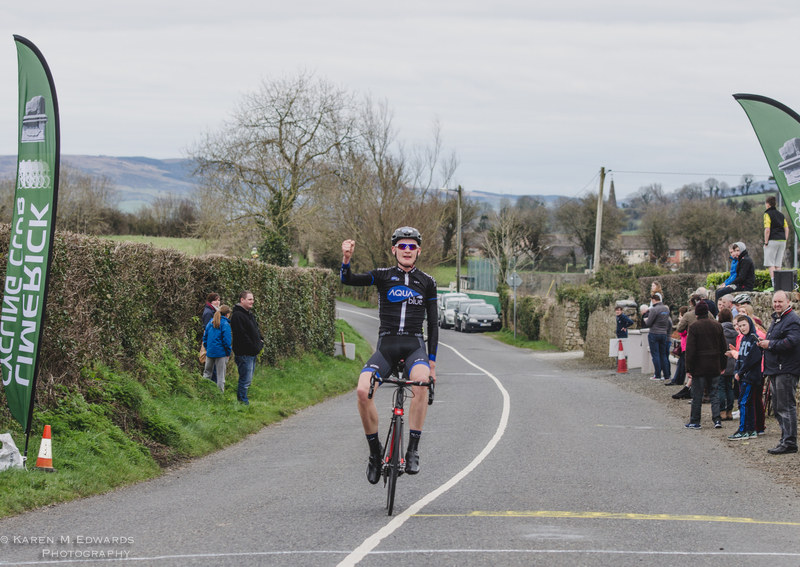 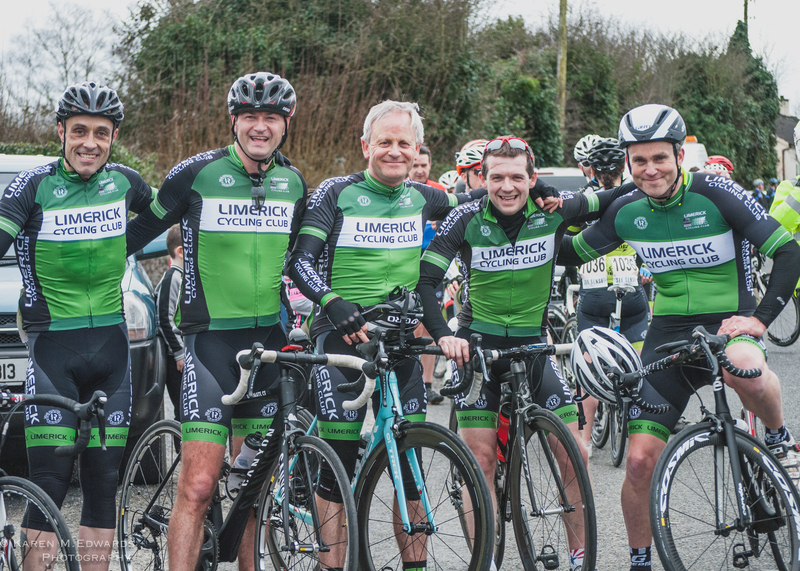 We ask riders from Limerick CC and all other attending clubs to come out in your club colours so we can all promote our clubs and our sport. 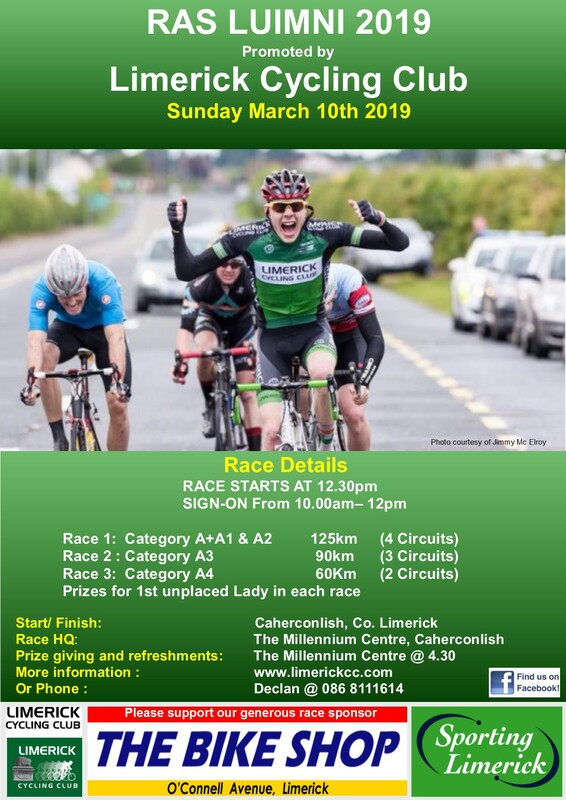 Hope to see you all there, please spread the word! 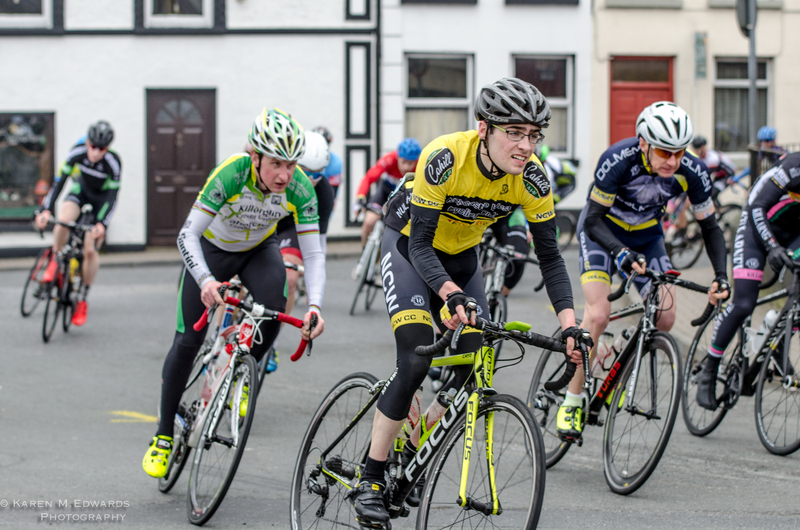 Youth Cycling Academy at Limerick Racecourse is starting back, this time on Wednesdays at 6.30pm, the first session is on 22nd of April. 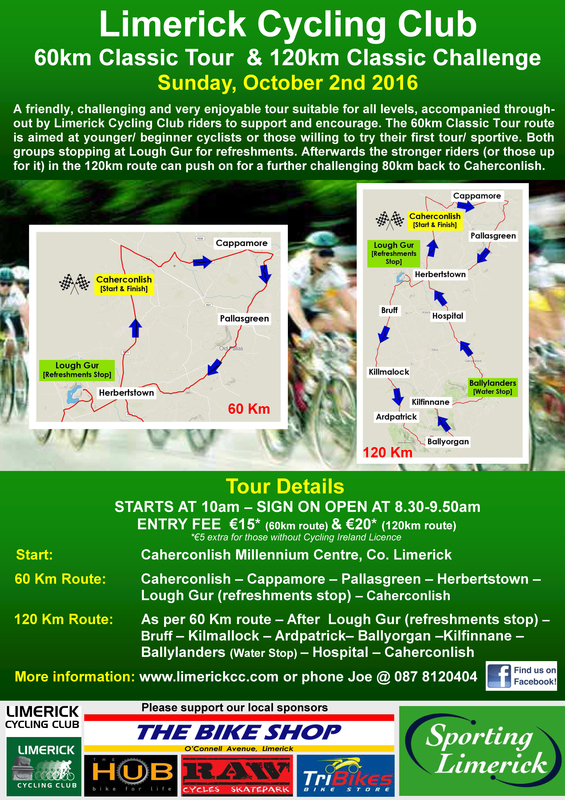 See http://www.limerickcc.com/youth-cycle-training/ for more details. 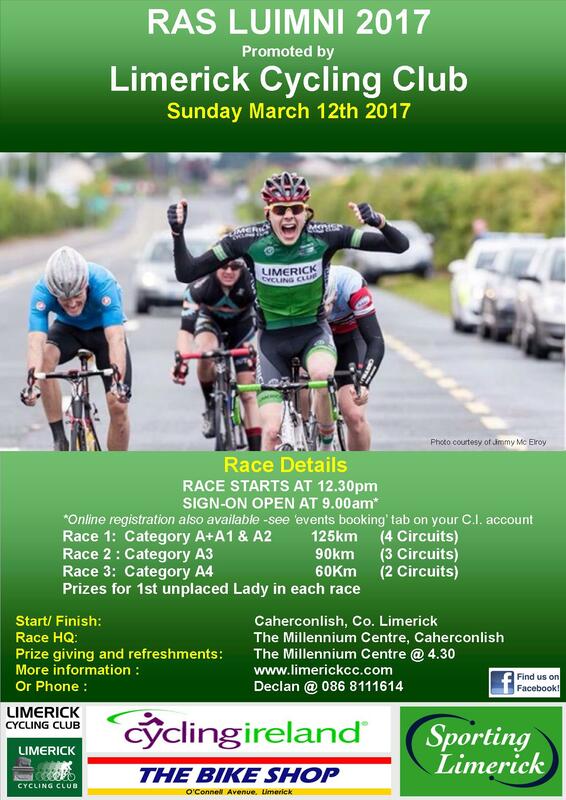 Entrance and parking at the Racecourse is via the 2nd gate on the L1407 towards Crecora.